Worth doing it for the packs and 89 rated card tbh, can always be thrown in an icon SBC or you could use him until you receive van Persie, but mysef I would use van Persie as a CAM and Huntelaar as a ST. 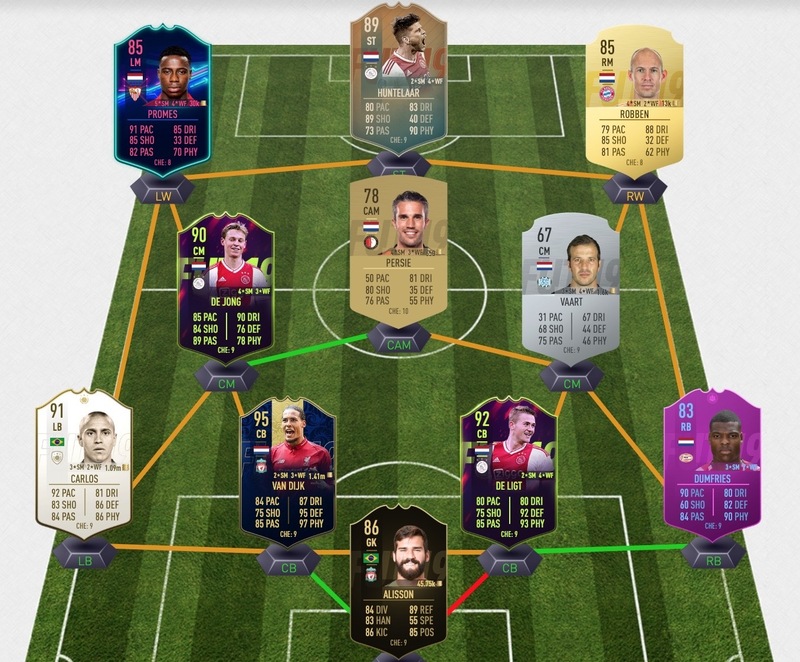 Unless you use a 2-striker formation which you can get both on full chem with Frenkie as CAM. He and Dolberg are actually sick together. Disgusting move to get Advocaat next season. Think I'll have a sabbatical from supporting Feyenoord. Martin van Geel is a complete idiot. Why even appoint Advocaat when all he does is getting players like Kramer and never even plays youth players. However, Cilessen is crap with long shots. Currently saving up to do the VDS SBC. Still need to do the 85, 86 and 87 team. Hope to get the cash before it runs out. Now that looks like a really fun team, the colors are really nice as well. It actually plays really well. 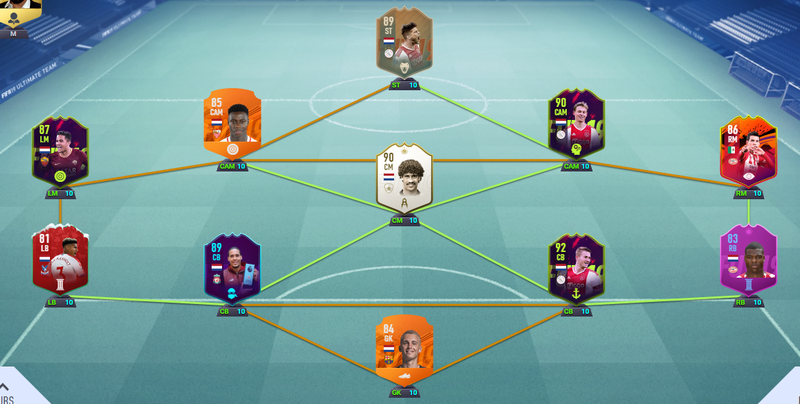 I do switch formations to 433 (4) with Promes at CAM. This Promes card is awesome. I did lose a few WL games because of Cilessen not saving normal shots from outside the box due to his height. I did get to 14 wins with 5 games left. I have SBC Depay and HL Ziyech on the bench. Will have to try Huntelaar some more otherwise i will switch back to Promes striker and Depay CAM which felt a little more dangerous. He has been fired as Ajax e-sports players earlier last year. These guys try to get cash and discounts anywhere. I work for a Wine importing company, the amount of "influencers" we pay to post an Instagram picture is shocking. Why did he get firef at Ajax? Well fired, or parted ways in mutual agreement. Same same haha. Well Dani was ways the better player. He was the first one and was more busy doing events and being the face of the team. You are right about that. 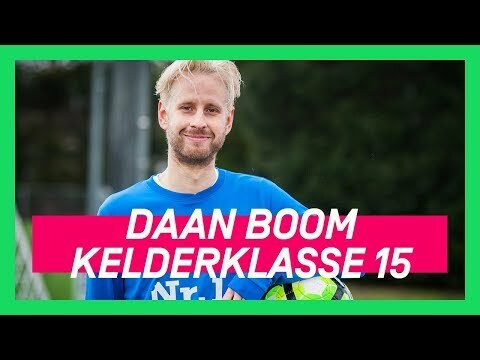 Bet he will make it work getting a car as he is by far the biggest FIFA YTer in the Netherlands and there must be at least someone thinking they can benefit from it (though his viewership is mainly kids who are too young to drive so it would not make sense in that case). The guys from Fokus Clan in Germany (Sakul, Proownez, Stylo) have a deal with Audi for instance. I work at the finance department and it is quite funny to see the discussion about the added "value" of influencers between the older financials here and the marketeers. "Why do we pay a random half-naked girl 1,000 EUR paired with a free luxurious dinner to post an Instagram foto posing with a bottle of wine or water". How do we sell more wine or water with that. Marketeers replying with "The value is is being seen by the followers of those people". Sadly the followers are the most stupid people around and they fall for it. I’m in marketing too (copywriting), and I diskike 99.99999% of all “influencers” over the world. I just hate ‘em. Have you seen the Rambam episode about influencers? It's pretty good actually. They market an energy drink like red bull but stronger and approach multiple Youtubers. At first they say not but after they offer them a few thousand they go full in on it. Even Youtube channels for kids. Basicly indoctrination by their younger audience to make them more brand aware of the brand when they are older, quite smart but still shouldn’t be done. Tbh in 2 minds with this, basically for all i know this generation of 11 year olds is heavily materialistic, so I think it kind of has influence on them. But i can see this only working for certain brands and believe it is for some brands just joining the hype even while it has a low return rate. However do you see improvements on the sale? Better or worse than expected turnover? Our webshop turnover is horrible However business wide it's really good. We have some of the biggest accounts in the country. Which makes up for the loss made in the webshop. You do see a little improvement after some of the campaigns yes. Just that it is spikes in stead of a steady improvement. So do the costs weigh up against the profits? Problem is, that's difficult to measue. There's no way to be a 100% a sale is directly from someone who watched an ad or picture. Advocaat said no because of the negative atmosphere, Good choice. The man is 71, shouldn't be going into a toxic environment. Hoping for someone that actually knows something about tactics and has a clear vision.